22 awesome things to do Memorial Day weekend in L.A. 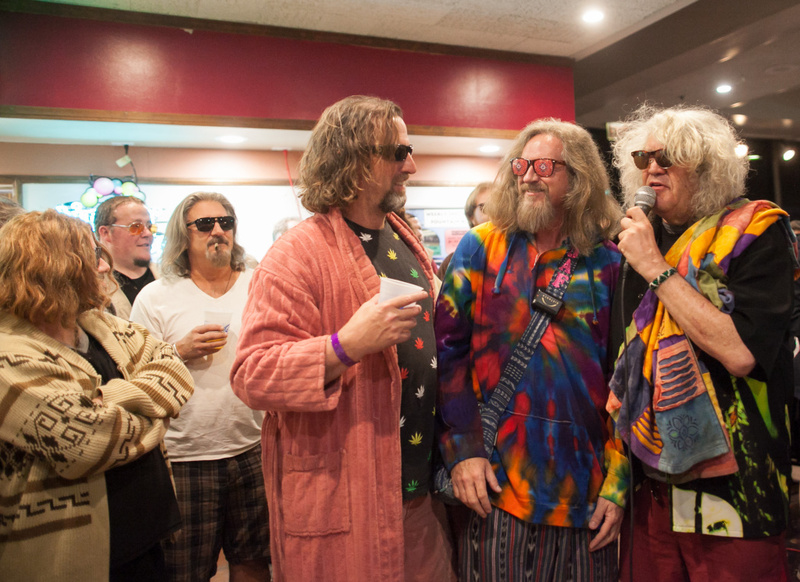 Fans of "The Big Lebowski" dress up and reenact a scene from the movie on Saturday, September 24, 2013. Walter Sobchak may not roll on shabbos but LAist will. From beer, vegan food and a celebration of the "Big Lebowski" to a long overdue retrospective of L.A. photographer George Rodriguez's work, the weekend has plenty to offer. It's also a somber weekend as we remember the men and women who died while serving in the U.S. armed forces. Have you heard the news? KPCC is bringing back LAist. That's where event roundups like this will live in the not-so-distant future. Until then, get out there and enjoy all that Southern California has to offer. And consider donating to our Kickstarter to #BringLAistBack. Jeff Dowd (right), "The Original Dude," whom the movie "The Big Lebowski" was based on, chats to a crowd of dudes at Lebowski Fest at Fountain Bowl in Fountain Valley, Calif. on Saturday, Mar. 14, 2015. "The Big Lebowski" turns 20 and fans (aka Achievers) of the Coen brothers are ready to pour White Russians. The fest kicks off at 8 p.m. at The Wiltern on Friday night with a live performance by Kyle Gass Band (Tenacious D), special appearances by several of the film’s actors and a screening. On Saturday, the fun moves to Fountain Bowl for costumes, trivia contests, unlimited bowling and more guest appearances. 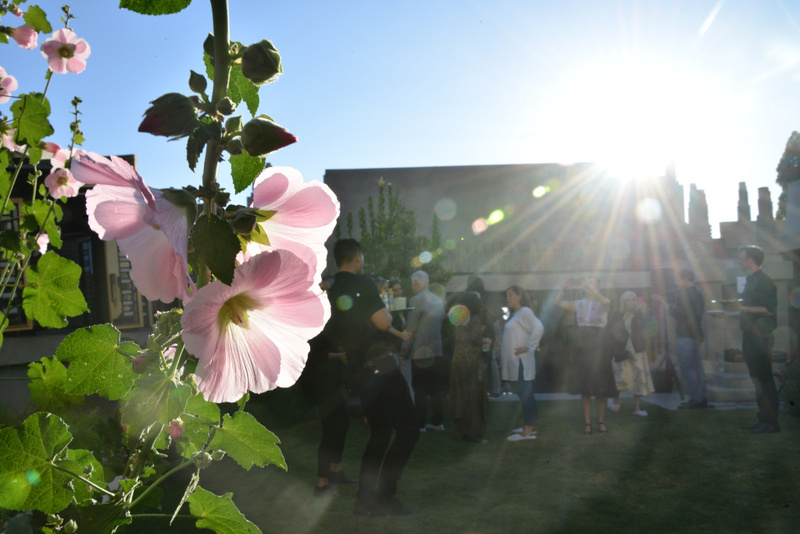 The Barnsdall Art Park Foundation's Breaking Convention Summer Soiree on July 15, 2015. WHEN: Friday, May 25; 5:30 p.m. The 10th season of the popular summer series debuts with a special event in conjunction with the LA Times Food Bowl. Silverlake Wine selects the vino while Jonathan Gold sits down for a Q&A with James Beard-winning chef Daniel Humm of NoMad Los Angeles. Architecture buffs can walk through Frank Lloyd Wright’s UNESCO-nominated Hollyhock House. 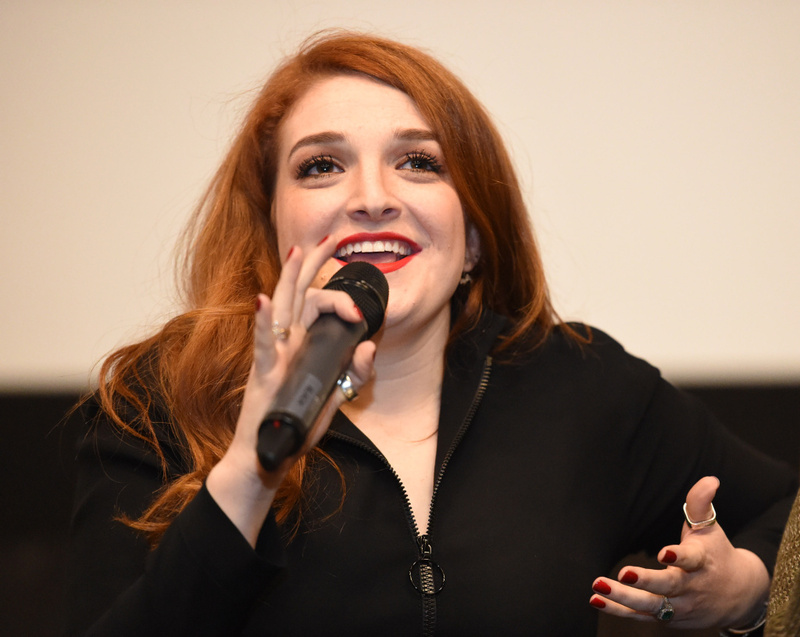 Actress Jenny Jaffe answers audience questions at the "Punk's Dead: SLC Punk 2" premiere event at Megaplex Theaters on February 11, 2016 in Salt Lake City, Utah. WHEN: Friday, May 25; 9 p.m.
Former Nerdist managing editor Alicia Lutes hosts an evening of horrifying, funny, insane, crazy stories about the perils of dating in Hollywood. The lineup includes comedians Dani Fernandez, Jenny Jaffe and Anam Syed. The venue is also worth mentioning. The Ruby used to be the Nerdist School before it recently relaunched as an inclusive, female-centric performance space. 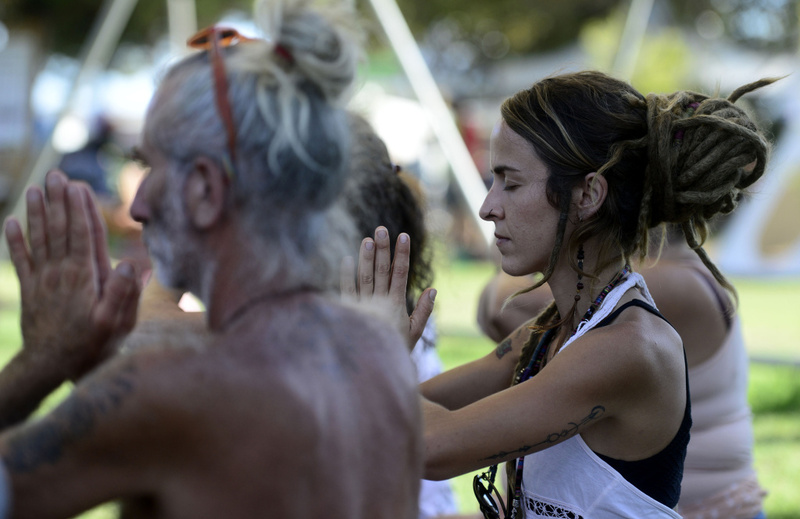 Participants practice yoga during a reggae restival in Benicassim, Spain on August 12, 2017. Road trip time! This trippy festival of art, music, performance and sustainability takes you to California's central coast. Camp out, listen to music, do yoga, dance, meditate, attend workshops and check out the installations. You’ll need a vehicle pass to bring a car or RV into the campgrounds. People attend the Rarest Experience beer fest. 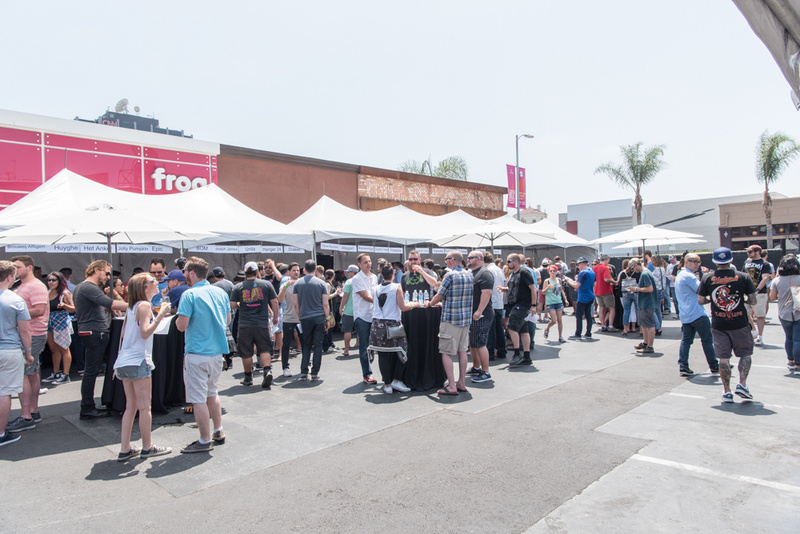 WHEN: Saturday, May 26; 1 - 6 p.m.
Touted as a "beer fest for beer geeks," the outdoor gathering offers unlimited draft pours of more than 30 rare libations including brews from Clown Shoes, Hangar 24 and Joseph James. 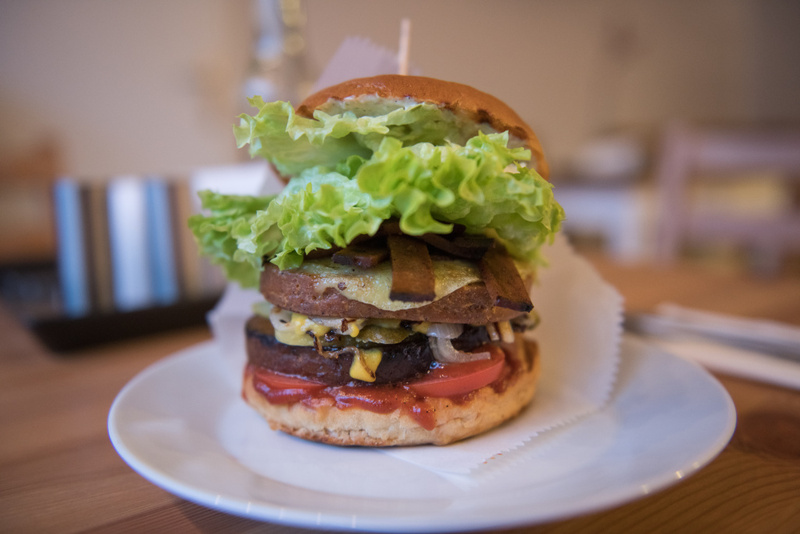 A vegan burger is served at the vegan diner L'herbivore in Berlin, Germany on January 25, 2018 . L'herbivore produces vegan specialties such as fried strips, burger patties, cold cuts, sausages, medallions and mincemeat. WHEN: Saturday, May 26; noon - 8 p.m. Formerly the Vegan Beer & Food Festival, this plant-based shindig features unlimited pours of more than 250 beverages (both alcoholic and nonalcoholic) as well as tons of marketplace vendors and restaurants — although food is sold separately. 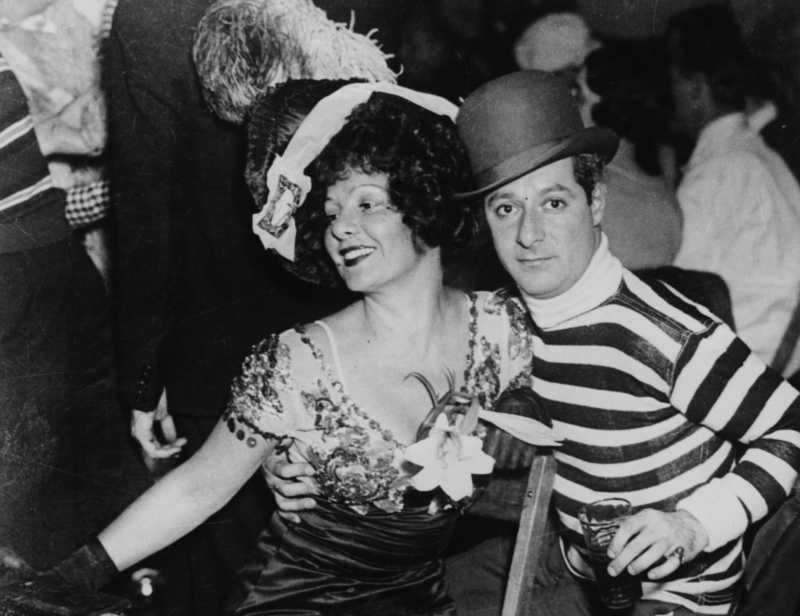 Actors and spouses Norma Talmadge and George Jessel attend a costume party on November 15, 1933. WHEN: Saturday, May 26; 7:30 p.m. Harassment in Hollywood is hardly new. The 1916 silent film "The Social Secretary" stars Norma Talmadge as a woman who makes herself as physically unattractive as possible so she can work without being sexually harassed. Presented by the American Cinematheque and the George Lucas Family Foundation, the screening includes a program of silent shorts and live musical accompaniment by Cliff Retallick. WHEN: Saturday, May 26; 6:30 - 10 p.m.
WHERE: GR 2 Gallery — West L.A. 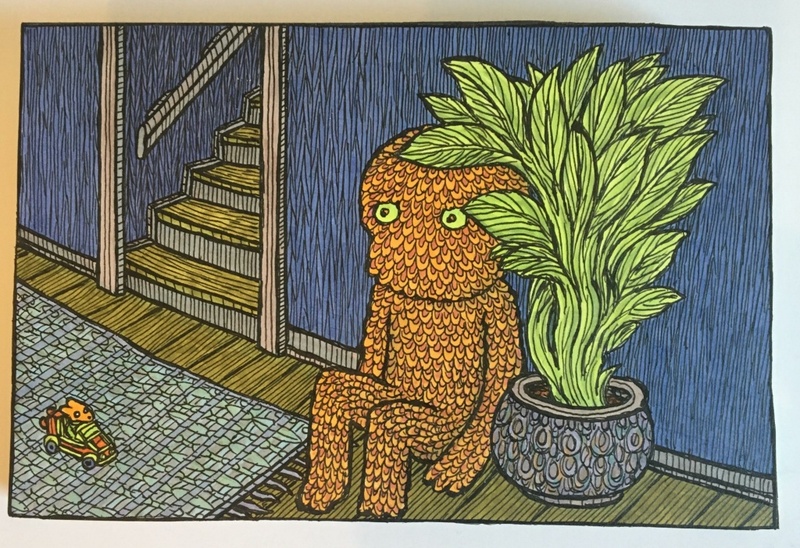 Giant Robot opens its latest solo art show, featuring more than 80 wood cutout drawings by Theo Ellsworth, who traffics in "medicine monsters, multi-dimensional welcome wagons, haunted architectural spirits and mutant children who have vowed to use their powers for good." The exhibition remains on view through June 13. Boyle Heights, 1968. "Some kid got hit on the head by the cops during the Walkouts. I called these images 'a field day for the heat.' They were just kids." 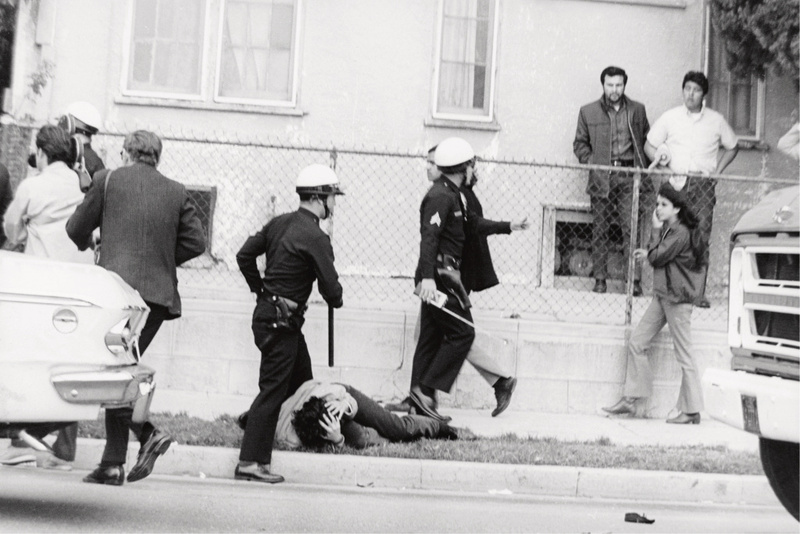 WHEN: Saturday, May 26; 1 - 9 p.m.
Born and raised in South L.A., photographer George Rodriguez has documented more than four decades of the city’s history, from the East L.A. student walkouts in 1968 to the United Farm Workers movement. He has also shot a raft of celebs including Marilyn Monroe, Elvis Presley, Lucille Ball, Michael Jackson and Jim Morrison. He's getting his due with a retrospective and a book, "Double Vision: The Photography of George Rodriguez," edited by MacArthur "genius grant" winner Josh Kun. The exhibition runs through July 14. WHEN: Saturday, May 26; 11:59 p.m. The Secret Movie club screens the 1949 film, "The Third Man," a beautifully shot thriller set amid the ruins of post-WWII Europe. Joseph Cotten stars as the hapless American expat and and Orson Welles plays his shadowy former friend. Credit goes to Graham Greene for brilliant dialogue like, "In Italy, for 30 years under the Borgias, they had warfare, terror, murder and bloodshed but they produced Michelangelo, Leonardo da Vinci and the Renaissance. In Switzerland, they had brotherly love. They had 500 years of democracy and peace. And what did that produce? The cuckoo clock." 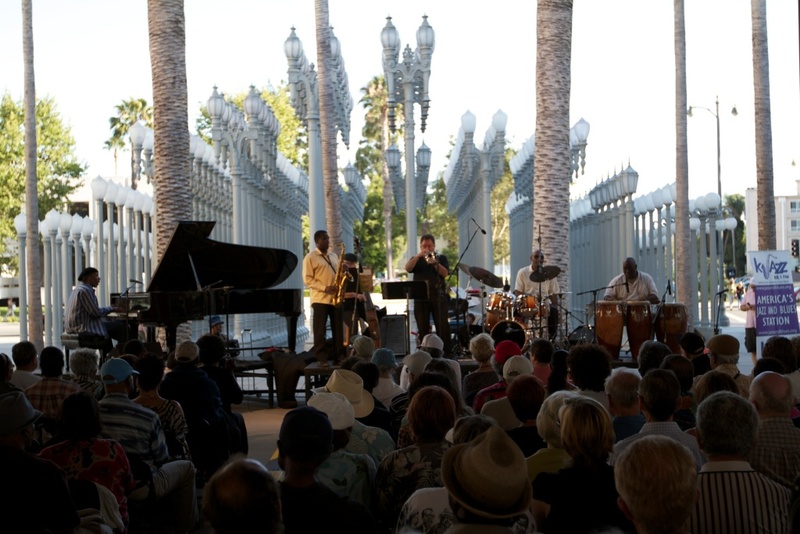 A jazz concert at LACMA on June 29, 2014. WHEN: Saturday, May 26; 5 p.m. The 12-piece Latin band mixes soul, salsa and funk as they reinterpret classic tunes. They'll be kicking off LACMA’s 13th annual Latin Sounds Concert Series. Wayne Toups backstage during the 2013 New Orleans Jazz & Heritage Music Festival on April 26, 2013 in New Orleans, Louisiana. 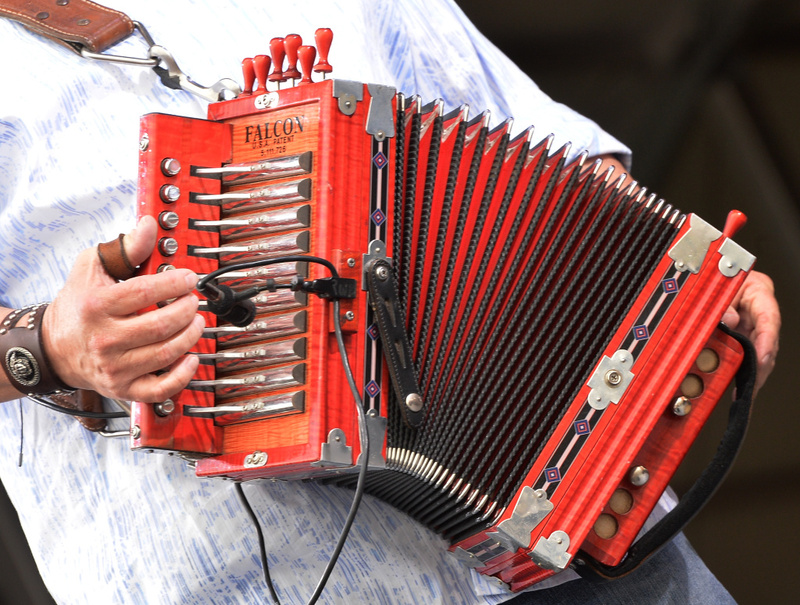 WHEN: Saturday, May 26 - Sunday, May 27; 11 a.m. - 7 p.m.
Cajun, zydeco, blues and roots music performers Dave Mason, Eddie Money, the Devon Allman Project with Duane Betts and Lost Bayou Ramblers take over two stages. There are also crafts, food booths and a Mardi Gras parade each day. Who cares that Mardi Gras was months ago? 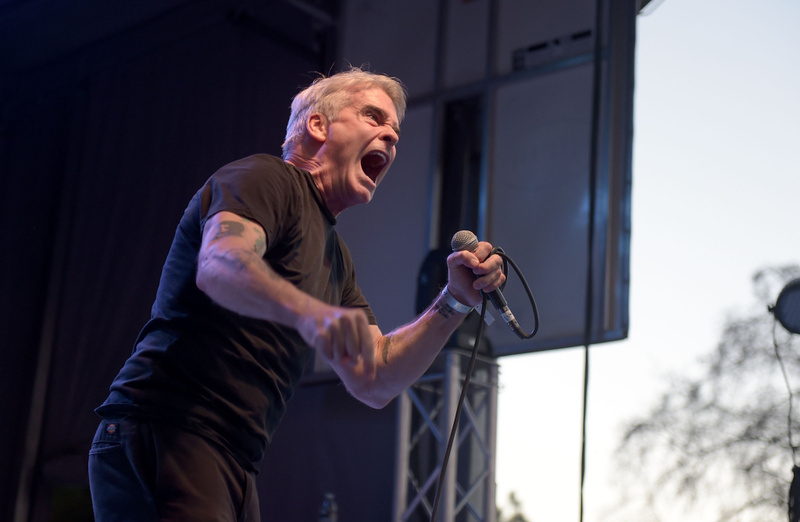 Henry Rollins performs at Festival Supreme 2015 at the Shrine Auditorium on October 10, 2015 in Los Angeles, California. WHEN: Saturday, May 26; 8 and 10 p.m. The former Black Flag frontman and current KCRW DJ plays two shows in honor of the 60th anniversary of Santa Monica's most famous guitar store. Tickets are scarce. Proceeds benefit McCabe’s and the cMr. Holland's Opus Foundation. WHEN: Saturday, May 26; 5:30 p.m.
Never seen Dennis Hopper and Peter Fonda blaze across the U.S. on motorcycles? This is your chance to watch the 1969 road trip classic — and to watch it under the stars. Arrive early to walk through the Autry (Eat|See|Hear ticket holders get in free) and hear music by L.A. band Pom Poms, at 7 p.m. "Easy Rider" screens at 8:30 p.m.
A pizza, circa 2014, at Stella Barra, which has locations in Santa Monica and Hollywood, California. WHEN: Sunday, May 27; 1 - 6 p.m. This live, interactive version of the board game takes participants on a culinary walking tour. Attendees exchange "Mainopoly" bucks for tastings at restaurants, cafes and ice cream shops, working their way around the board to win prizes. 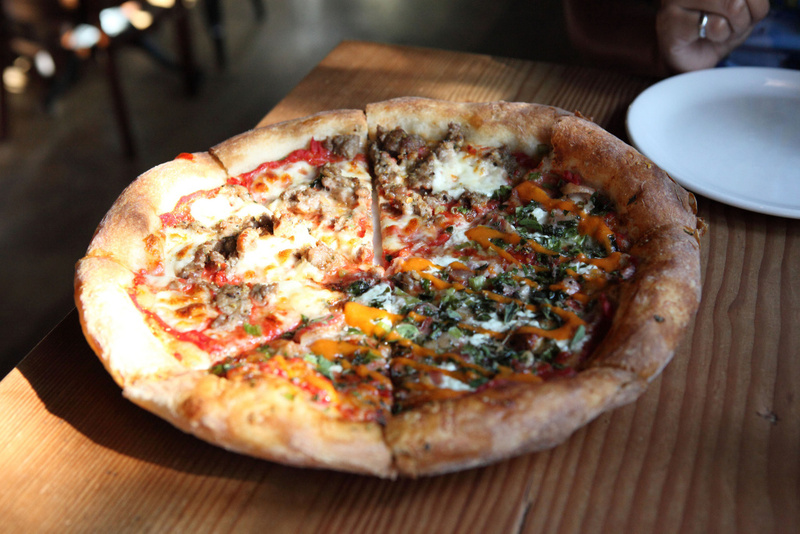 Stops include a beer garden, M Street Kitchen, Sweet Rose Creamery, Stella Barra, Manchego, The Victorian and Bulletproof Coffee, among others. 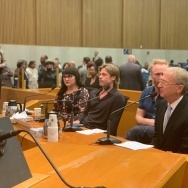 The event benefits Heal the Bay and Summer SOULstice. 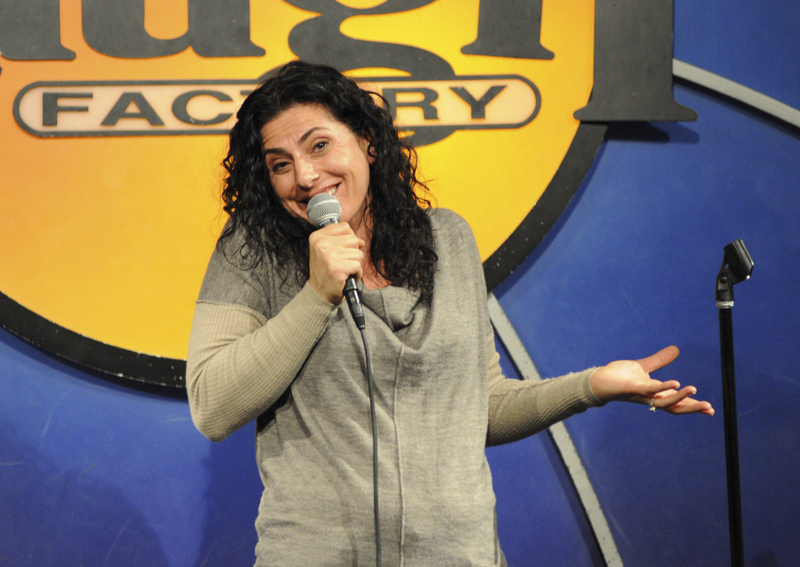 Comedian Kira Soltanovich performs at The Laugh Factory on December 3, 2014 in West Hollywood, California. WHEN: Sunday, May 27; 8 p.m. If you felt sorry for Ann Coulter at Comedy Central's Rob Lowe roast, this might be your ticket. Instead of hurling insults, two comics compete to see who can dish out the best compliments. Hosted by Kyle Ayers, the lineup includes Kurt Braunohler, Jackie Kashian, Ahamed Weinberg and Kira Soltanovich. 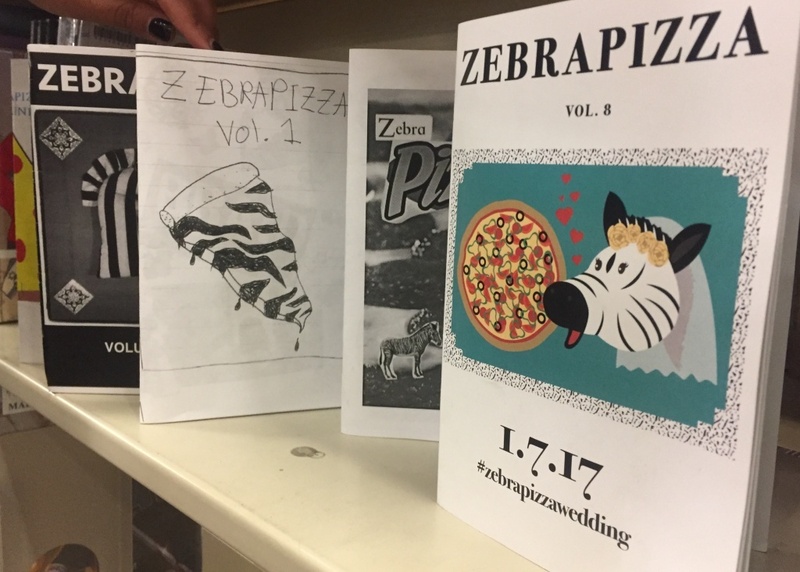 Some zines can be checked out at the Long Beach Public Library. WHEN: Sunday, May 27; 11 a.m. - 6 p.m.
More than 200 zine creators and vendors sell their literary wares. You can also play arcade games, peruse art displays and attend readings, talks and workshops. 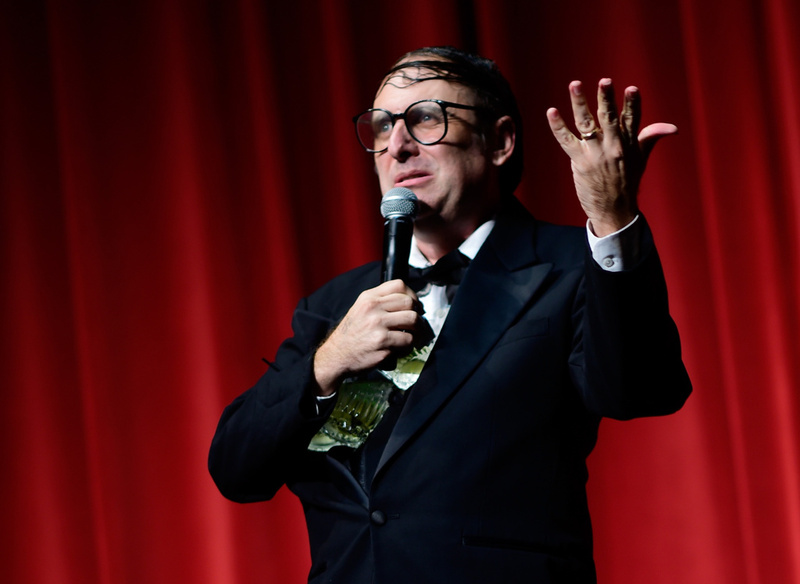 Comedian Neil Hamburger performs onstage following the "Entertainment" premiere during the Sundance NEXT FEST at The Theatre at Ace Hotel on August 8, 2015 in Los Angeles, California. WHEN: Sunday, May 27; 8:30 p.m. The deliberately sad sack comedian Neil Hamburger returns to host an evening starring funny folks Whitney Cummings, DJ Douggpound, Ian Abramson and Minori Hinds. 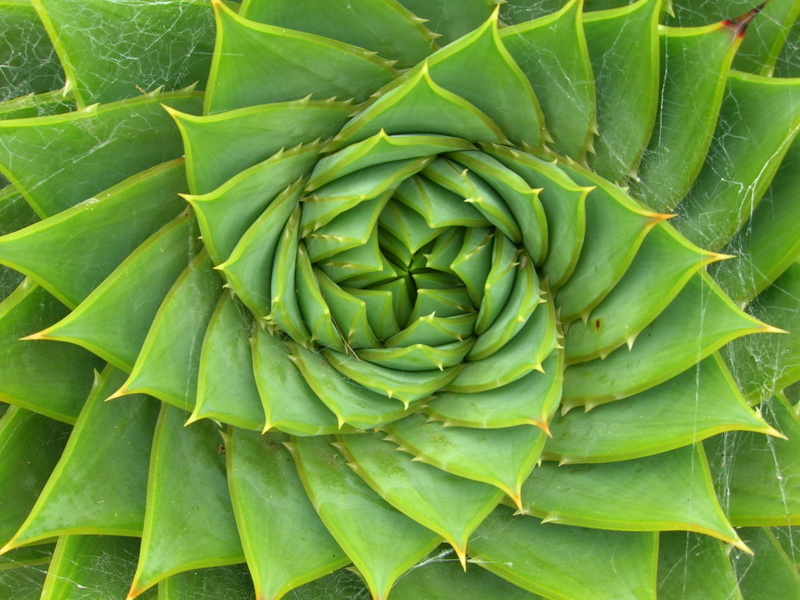 An Aloe Polyphylla Schönland ex Pillans plant displays a fibonacci sequence. Japanese artist Akio Hizume’s large-scale bamboo installation opens in conjunction with the exhibition "Bamboo." Hizume, an architect and mathematician, uses the Fibonacci sequence and Golden Ratio to create his intricate, minimalist sculptures. 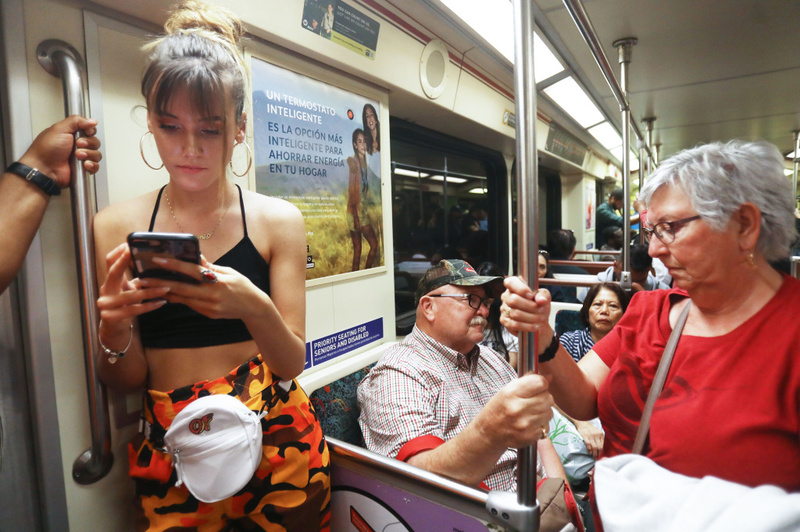 People ride a Metro train on March 28, 2018 in Los Angeles, California. WHEN: Sunday, May 27; 5 p.m. Listen to true stories of trying to get around L.A. as told by people who don't drive. Featured storytellers include Brandon Burkhart, Robert Calix (who works for L.A. Metro), Sam Cutter, Katya Duft, Christopher Korbel, Alex Pages and See Susanita Sì. 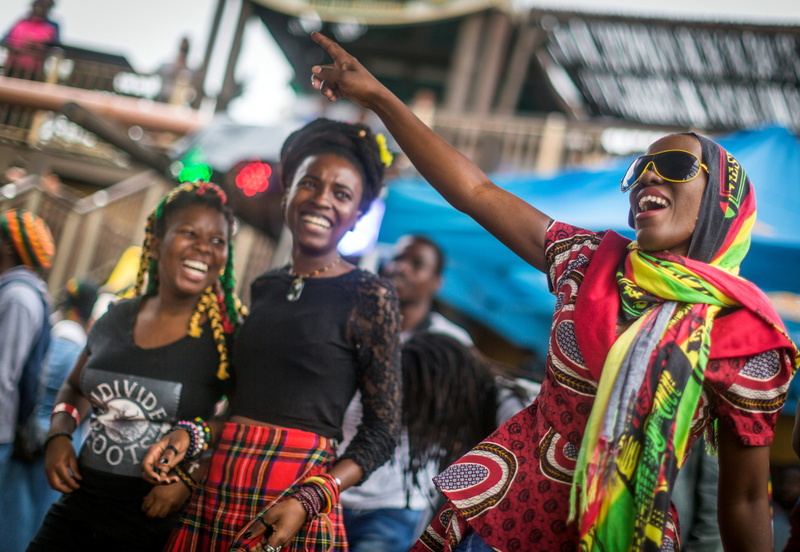 Rastafarian reggae fans gather at the Bob Marley Earthday Festival and Rasta Fair in Durban, South Africa on February 3, 2018. WHEN: Monday, May 28; 11 a.m.
Bring your blankets and picnic supplies to the annual festival headlined by Konshens. Also on the bill: Jamila Woods, Charlotte Day Wilson, Half Pint, Global Soul Collective and Sahara Grim. Sgt. Iwona Kosmaczewska (left) and Pvt. 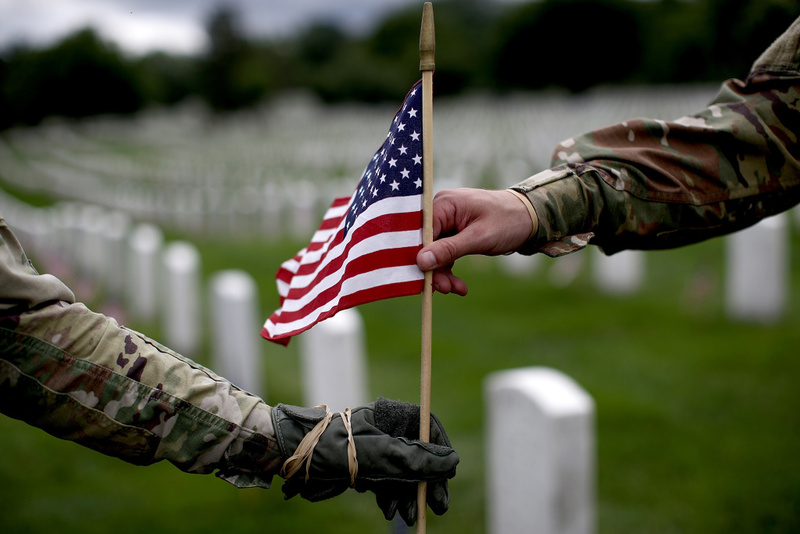 2 Wesley Defee (right), members of the 3rd U.S. Infantry Regiment, place flags at the headstones of U.S. military personnel buried at Arlington National Cemetery, in preparation for Memorial Day May 25, 2017 in Arlington, Virginia. Memorial Day marks the start of summer but it's also a day to honor those who died while serving in the U.S. armed forces. 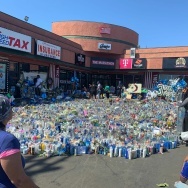 Many cities and neighborhoods — Inglewood, Glendale, Burbank, Sylmar, Canoga Park, Brea, Anaheim, Buena Park, Costa Mesa, Dana Point, Irvine, Fullerton, Laguna Beach, Lake Forest, Newport Beach, San Clemente, Santa Ana, Seal Beach and Yorba Linda, to name a few — will hold ceremonies. 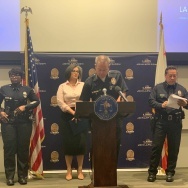 Forest Lawn will also host observances. In Westminster, the high school marching band, HOPE Music Program and vocalists Debi Wheeler-Ure and Gregory Pierce will play patriotic music. The American Legion will dedicate memorial wreaths and hold a white dove release. After the formal program, stick around for hot dogs and refreshments.